Jimbo Fisher moving on was in the best interests of both parties, and Willie Taggart was an excellent hire for Florida State. Taggart has struggled in the beginning at every stop before his teams gelled and reached their potential. Florida State’s first three games were a horrific look at the state of the FSU’s program. The Seminoles lost in a 24-3 opener against Virginia Tech, escaped with a win against FCS Samford, and were blown out by Syracuse 30-7. Since the Syracuse loss, they have defeated Northern Illinois, Louisville, Wake Forest, and barely lost to Miami in a primetime shootout. The Seminoles have improved throughout the season as they have adjusted to their new schemes. Clemson’s best matchup is Clemson’s defensive line against Florida State’s offensive line. 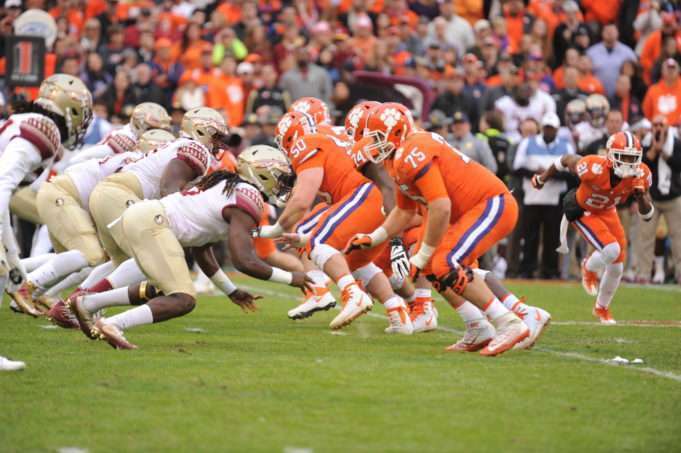 Clemson has the deepest defensive line in the nation, whereas Florida State’s offensive line struggles in both phases of the game due to injuries and lack of talent. Florida State has one of the worst rushing offenses in the nation – they are in the bottom ten of rushing yards per game and over one in four runs don’t make it past the line of scrimmage. Deondre Francois was lauded as the bravest quarterback in college football during his freshman campaign as he played behind one of the worst offensive lines in the nation. After his 2017 injury, he has not returned to form in 2018 behind yet another bad offensive line. 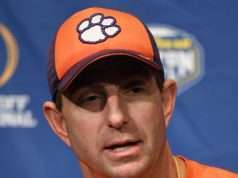 Coach Swinney was not exaggerating when he mentioned Brian Burns in the same breath as Jadeveon Clowney and other star players that Clemson has faced in the past. If Brian Burns lines up across from Mitch Hyatt, it will be one of the most intriguing “games within the game” of the day that could make the difference in the game. Florida State is beginning to grow comfortable in their new identity after a slow start. Although the Seminoles have struggled recently, Florida State has out-recruited Clemson every year of Coach Swinney’s tenure as Head Coach until this year. 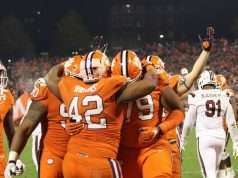 They may not be able to defeat Clemson this year, but they are capable of taking Clemson down to the wire. 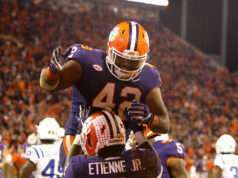 Clemson is favored by 17 and the over/under is at 49.5 points.